The integration of SQL Servers in Visual Studio is really great. 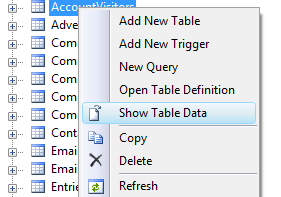 I use VS to create my SQL tables and simple administration stuff - it´s not often that I start SQL Management Studio. 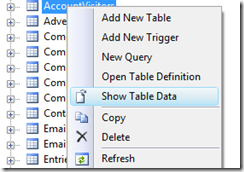 But one thing is really annoying: You can´t rename SQL Tables in VS! But there is a little trick to do that. Unfortunately there is no "rename" button here and the name property is disabled. Just add the tables to an database diagram and rename it there and save it - that´s it. I found this nice trick on this site - there are some cool features in the database diagram view.